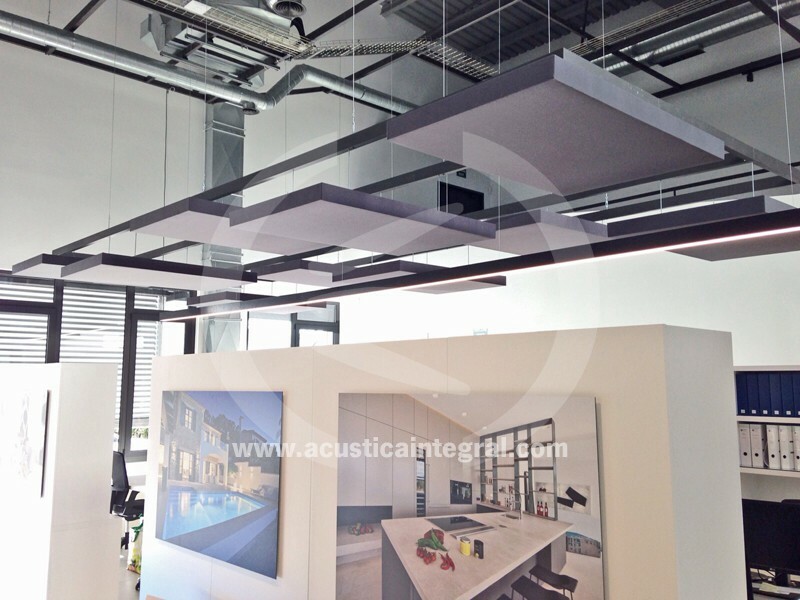 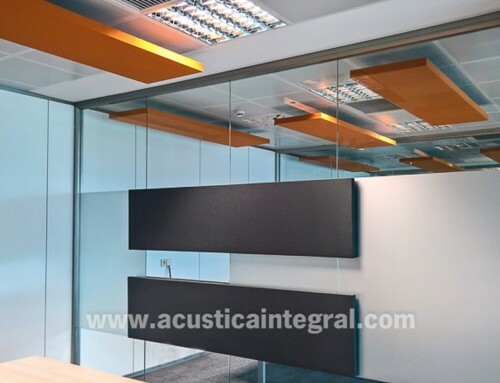 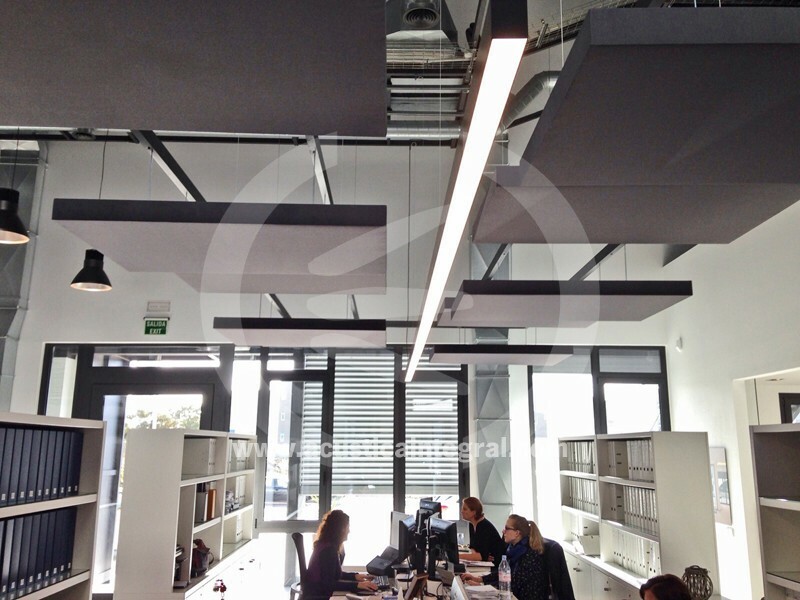 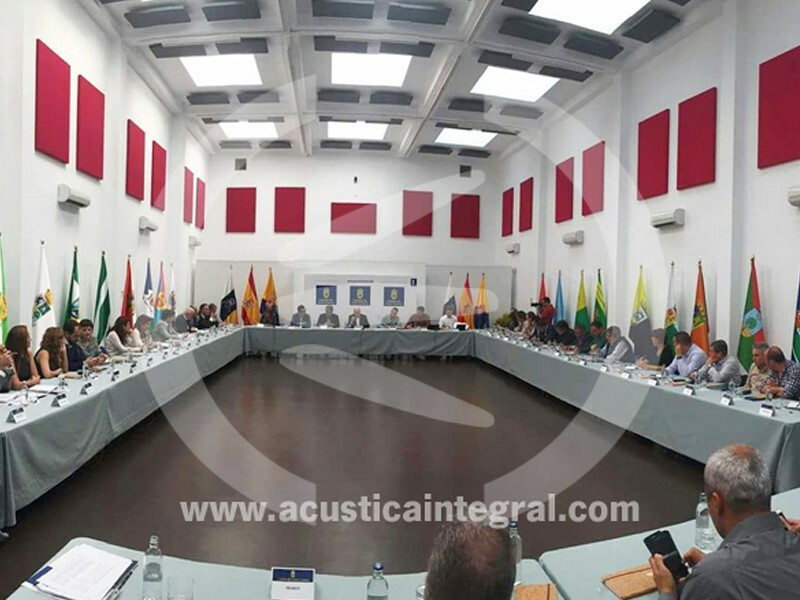 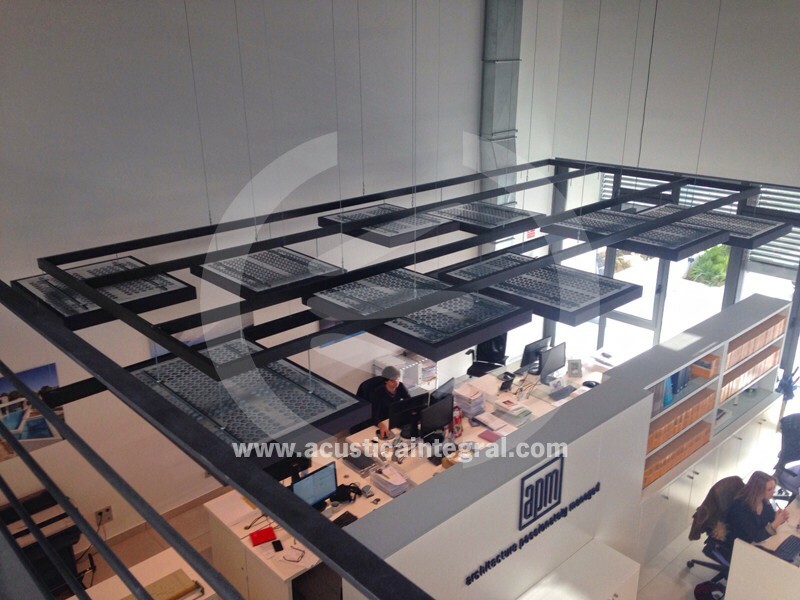 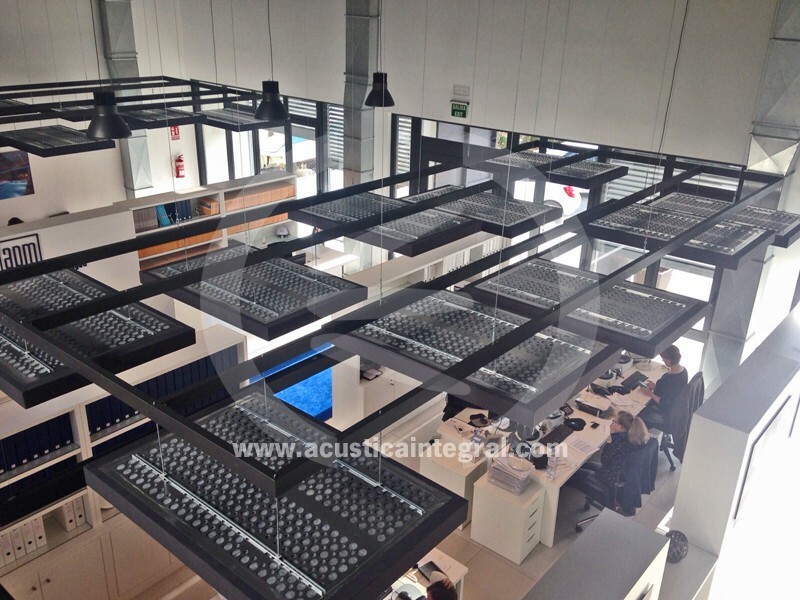 Acústica Integral has made the acoustic treatment of a large volume offices with high decorative acoustic elements Acustiart type level. 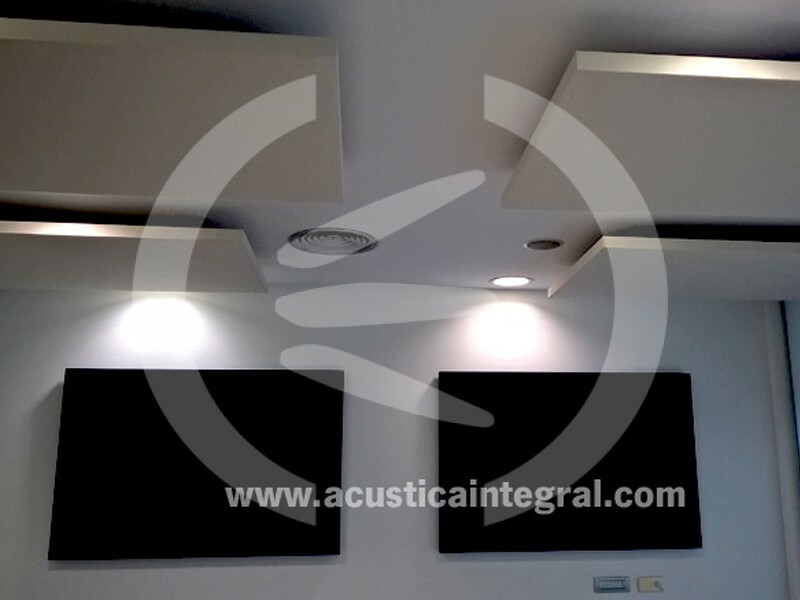 It has made the installation relying on an auxiliary structure that closely matched to recipients of noise, generating adequate acoustic environment in a volume of great dimension. 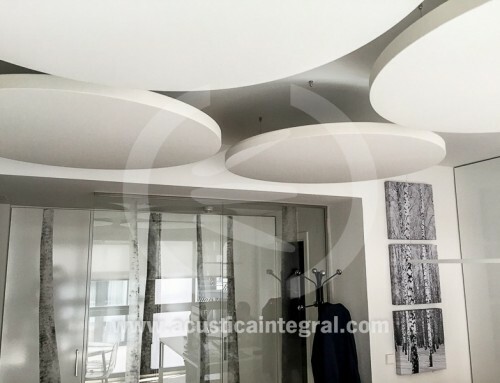 It has sought the right decorative product integration. 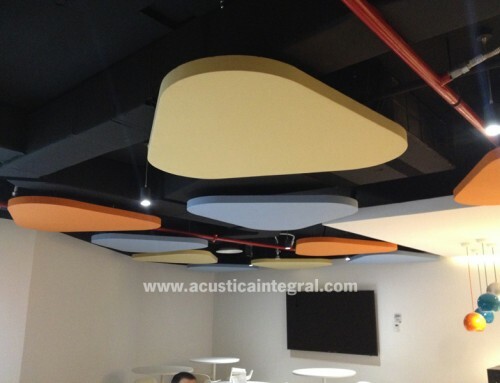 The customer was able to select the finished product within the standard range of fabrics available. 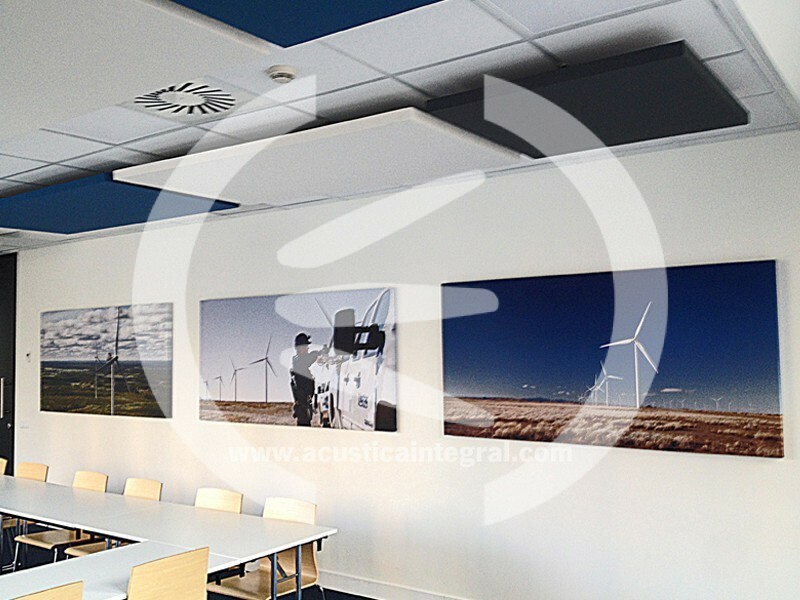 Absorbent material with high decorative level Acustiart. 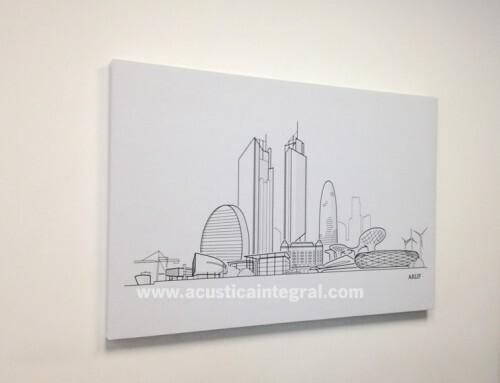 Finished in the standard range of tissues.